A new addition to the family brings major changes to the family dynamic. Often with the birth and delivery of a new baby, a lot of attention is directed toward the mother. With so much focus on the new mother, the new dad can often be forgotten. 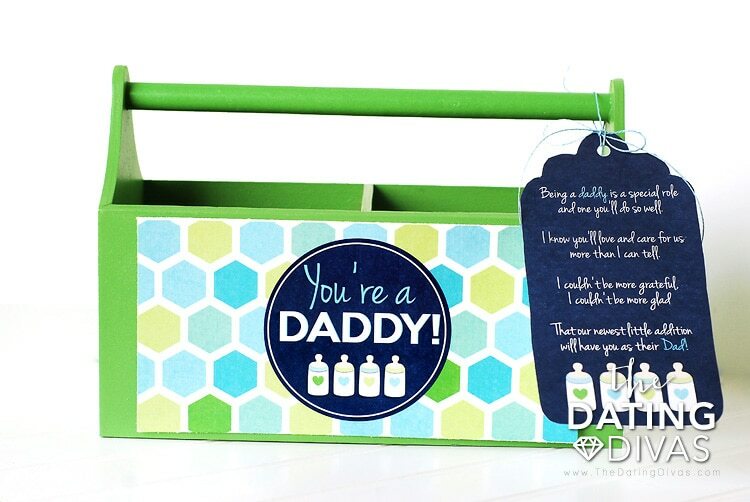 Let the new dad know that he is loved and make him feel a part of the big day with a fun New Dad Gift Basket! 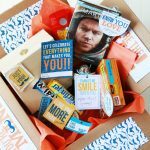 This New Dad Gift Idea is the perfect way to celebrate this moment with him and boost his confidence for his new role as a daddy! New Dad Card – Share with the daddy-to-be how pleased you are that he will have this new role. Boost his confidence while you share with him your love and support via this printable card! 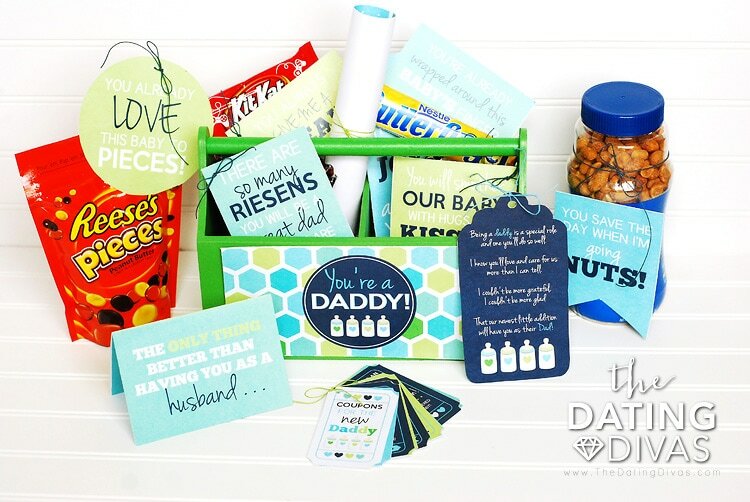 Candy Bar Tags – Fill Daddy’s gift basket with all of his favorite sweets and treats! 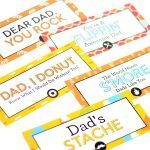 We have over a dozen darling tags that you can attach to each item with super sweet messages – including reasons he will make a fantastic father! Matching T-shirt and Onesie- Let Daddy show off his new pride and joy in style! These fun designs can be transferred onto a t-shirt for Dad and a coordinating onesie for baby! 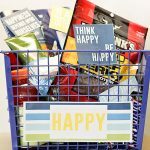 It’s a quick and easy gift that is sure to make him smile! Dad’s Coupon Book – Being a new dad can be tough! 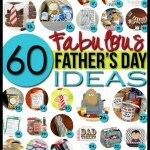 Lighten Dad’s load with a coupon book for when he needs a break the most! These redeemable tickets give Daddy the much needed break he deserves! Letter to the New Daddy – Let Daddy know how special he will be to his new little one! 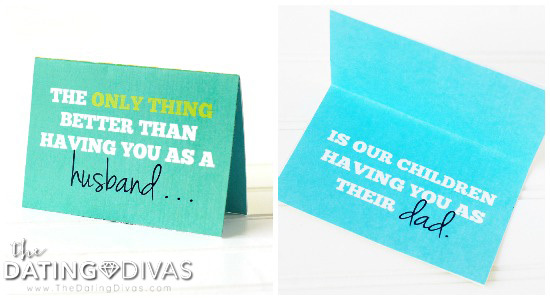 Use one of the two templates to write a special letter expressing why he will be a great dad. In one version, you can construct a letter to the baby expressing how lucky they are to have their dad. The second version includes writing prompts to write a letter directly to the new dad, expressing your confidence in him. Whatever gift idea you choose to give, you can use our Gift Basket Label and Tags to dress up a basket with all of these items. I found this fun mini-toolbox at Target – isn’t it perfect? Let your spouse know how lucky you feel to have him not only as a husband, but as a father for your children! This simple card is the perfect way to share your feelings. Just print, fold, and add your own personalized note and/or signature! Then, place it in your gift basket! So easy! Who doesn’t love a good treat? We have over a dozen Treat Tags with sweet messages for the new dad. Choose your spouse’s favorite treats, attach the tags, and add them to the basket! We’ve included over 15 different tags to choose from. P.S. Having some snacks on hand during the hospital stay is a great idea! This gift is sweet and practical! How cute is this? Matching outfits for the baby and Dad. 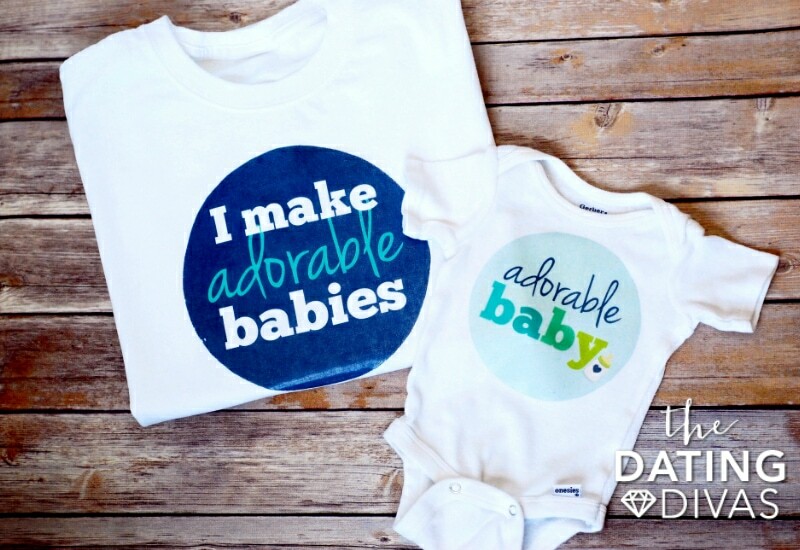 The coordinating designs say “I make adorable babies” for Dad and “Adorable Baby” for baby’s onesie. Just print onto an iron-on transfer sheet and iron it to a shirt for Dad and a onesie for the baby. Can you imagine the adorable pictures you could take? 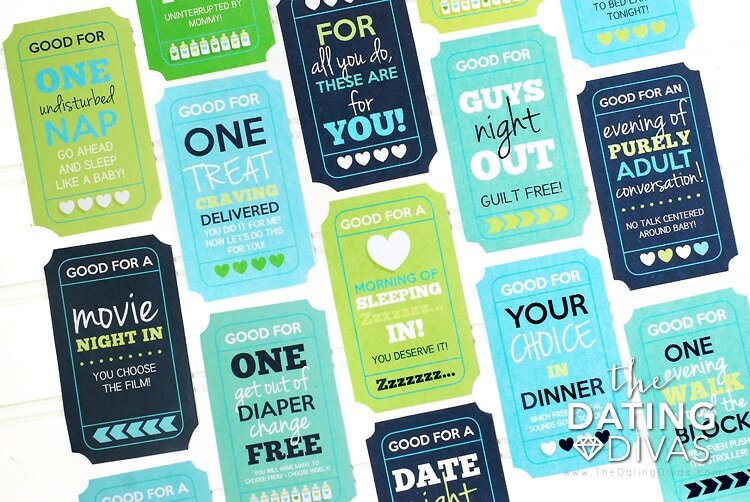 Not only are these coupon tickets colorful and fun, but they are also a great gift for a new dad! Choose from over a dozen unique coupons ranging from getting out of a diaper change a date night at home! This letter template has two versions for you to enjoy. 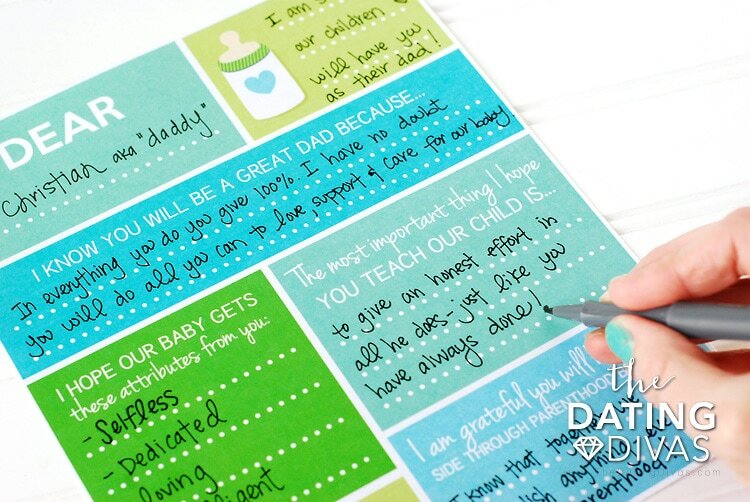 You can write a letter directly to the new daddy sharing with him your gratitude. Or, you use the other template to write a letter directly to the baby expressing how lucky they are to have such a fantastic father. Both letter templates come in a beautiful design with prompts to make writing easy! There you have it! 5 thoughtful New Dad Gifts. Pick your favorites or do them all! 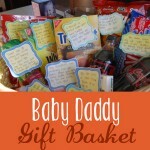 Place your gifts in a basket and present them to the new dad! Can you imagine how special he will feel? The role of a father can not be underestimated! Fathers are so important and this new dad gift is the perfect way to let him know that he has a vital role in your baby’s life. Get these FIVE ideas for a sweet new dad gift for under FIVE dollars! And before that baby arrives, consider documenting your love story with Our Love Story for Baby printable set. It contains templates for you and your spouse to create a beautiful keepsake for your child. Oh! And with Father’s Day coming up, you could spoil Dad with a Father’s Day Breakfast or any of the husband gift ideas from our Father’s Day Done For You Printable Pack! 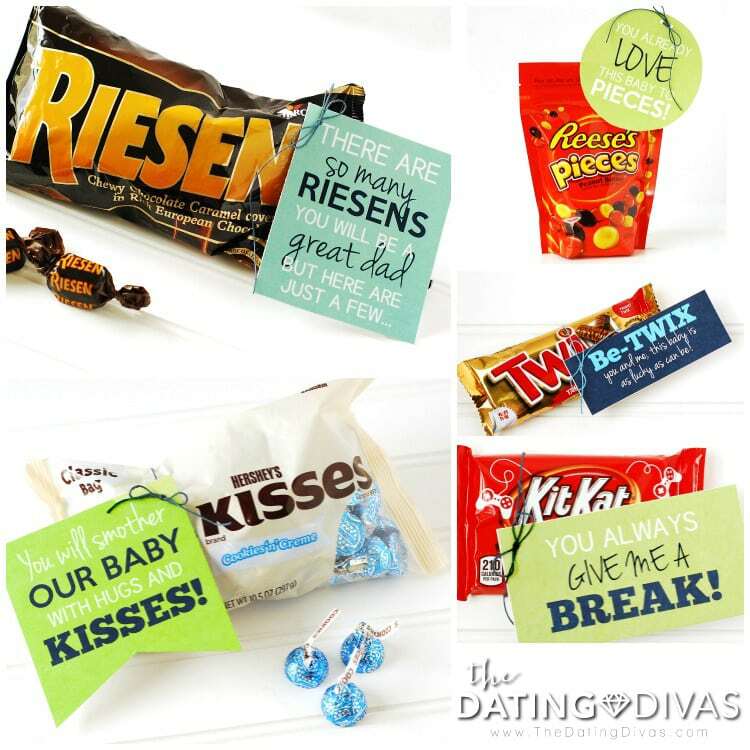 The Dating Divas always have you covered with DIY gifts for him! Those coupons!!! I absolutely love this kit, Sarina! I’m expecting a new little one in September and I can’t wait to give this to my hubby!! Great job, Sarina!! These DESIGNS!!!! This kit is seriously darling! I can’t even handle it! Such a fun idea! I’ve never printed on to an iron on transfer before. How does this work? can I just get the paper and print from my normal printer? Where do I buy the sheets from? I’m assuming Hobby Lobby, Michael’s, or any Fabric Store? Welcome to the world of iron-on transfers! They are so simple and fun! You can purchase the papers at any of those stores you mentioned or Amazon is a great source too! You print right from your home printer. My biggest tip is to follow the directions on the specific package you purchase. Some iron-ons require you to print the mirrored image and others you print just the normal image. We provide both types in this pack! Enjoy! Are you able to edit any of the products. This is so cute but we already have a baby. Also, if it helps I am planning to give this to my husband for Father’s Day and everything still applies. I am only leaving out some of the candy tags that say “you will be”. There are plenty of candy tags to choose from and I just omitted those. I hope that helps!